A recent tractor trailer crash near Champaign, Illinois on I-57 has raised questions about how commercial driver’s licenses are issued. In the truck crash a 41 year old truck driver admitted that he had smoke marijuana and had snorted crushed pills just a few hours before the crash that hospitalized three people. Police said the tractor trailer driver rear ended three cars and the trailer of another truck. The man has been charged with two counts of aggravated driving under the influence of drugs. but the State’s Attorney noted the driver has a criminal history that goes back to a 1998 DUI. Under current law, serious tickets such as a DUI from many years ago will not necessarily disqualify you from getting your CDL. In some cases, if the DUI is at least five years ago, it may still be possible to get a trucker’s drivers license. Getting your CDL involves taking three written tests and taking a 40 class, not dissimilar from getting a regular driver’s license. Every trucking company is different, but usually truckers have to pass a background check and have a 10 year clean driving record and criminal history. 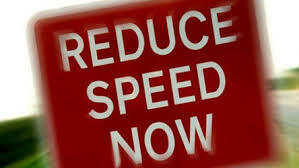 It also is very important for all truck drivers to have self control and patience behind the wheel. Our tractor trailer accident attorneys are always alarmed when we read about truck drivers getting into accidents while under the influence of drugs or alcohol. To operate a commercial truck with a CDL, truck drivers are required to have a BAC no higher than .04%. Also truck drivers are not supposed to drive if they have had alcohol or illegal drugs in the previous four hours. Obviously, it is a bad idea to drive a tractor trailer after drinking at all or taking any sort of drug that can affect driving performance. Being impaired makes it more likely the trucker will not be able to brake in time, keep control of their rig, and generally make good driving judgements. If you are injured by a tractor trailer driver who demonstrates negligence, you can file a personal injury lawsuit and be compensated for your injuries. Our Virginia truck accident attorneys settled a truck crash case for $410,000 when the truck driver lost control of his rig on black ice. He was required to show a higher duty of care behind the wheel, so his loss of control was deemed negligent in the settlement.